The first week of August has been relentless when it comes to news and new releases, and one of the biggest gold nuggets to be discovered in the sifting is a new track from Brisbane trio 100%. 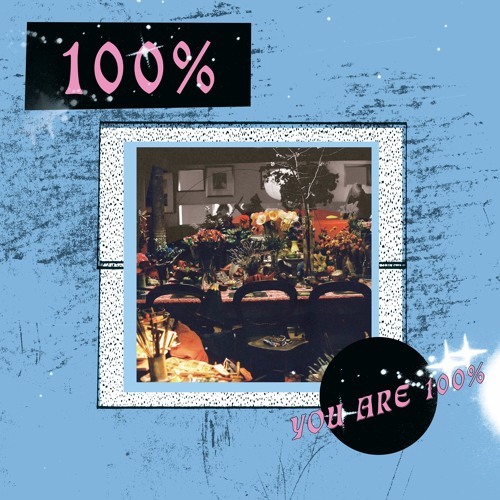 The vibrant synth-pop outfit has been playing shows consistently and earning fans since putting forth their self-titled cassette on Moontown Records in early 2015, and now 100% is linking up with Moontown once again for a forthcoming (and highly anticipated) 12” entitled You Are 100%. ‘Lost Youth’ is the animated first taste of the record – a track that succinctly highlights the best parts of 100%’s material thus far but raises the stakes in terms of energy and power. A bouncy handclap beat and bass riff (bass is featured more prominently in this track than previous tunes, which I love) introduces the track before the intertwining synthesiser progressions kick things off properly. The entirety of Lost Youth is lush – the top notes are borderline celestial and the quieter valleys remain rhythmically captivating. It’s equal parts punchy new wave rave and unforgiving synthetic rigidity – complementary duality at its finest. As usual, singer Lena Molnar’s forceful vocals pierce the pop melodies with ease, captivating the hairs in the inner ear and sparking frisson, especially at the first peak around the one-minute mark. Echoed lyrical fragments seem to refer to life’s increasing commitments, signalling the end of youthful abandon and the desire to seek out those evergreen pastures once again. The highs are reminiscent of ecstatic teenage exuberance, but Lena’s forlorn (albeit piercing vocals) are mournful, lamenting the passing of carefree days. I might be wrong in this observation. Perhaps writing this before starting work for the day has me placing my own meaning on the piece, but at least my morning soundtrack is energising.